I’ve got a deadline to meet this Friday. Not sure where I’ll find the time to get all of my tasks done, but somehow it always comes together. If you thought that the pressure of working on a deadline would end when you graduated, then think again. Better to gain as much experience handling stress and working through last minute problems. The students now preparing their steel bridge or concrete canoe for the Regional Competition can tell you how quickly their deadline is approaching. The first student regional conference is scheduled for March 19th. 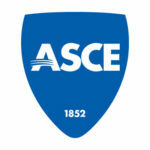 Go to the ASCE Student’s website for a complete listing of competition dates. 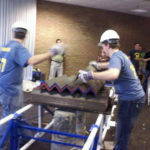 On November 17th, I profiled the progress of the University of Michigan steel bridge team. That article stimulated a lot of discussion on Linked In. Here are some tips from former competitors that might help teams working to complete their bridges. Read the directions/rules and know them. I can remember several times at competition being or watching other team being palatalized for not meeting one the requirements. The rules commonly change form year to year. Help keep your team organized and make sure there are a lot of helpers. Practice, practice, practice!!! The connection details are key the faster and easier they can be put together the better, bolt connections take to much time. 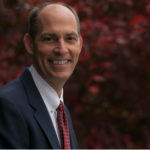 You will decrease your construction time, the only warning is that depending on your connections watch out for fatigue. Use a detail that doesn’t need a bolt to be stable, and use as few bolts as possible.